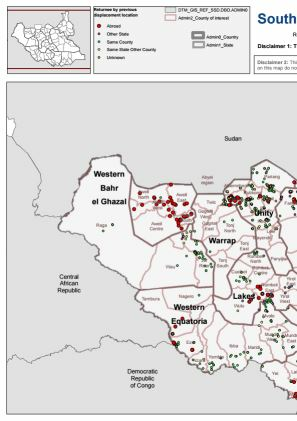 DTM interviewed 2,127 households representing 4,234 travelling individuals crossing into and out of Bentiu Protection of Civilians site (PoC) site, Malakal PoC site and Wau PoC Adjacent Area (AA) site during the reporting period. 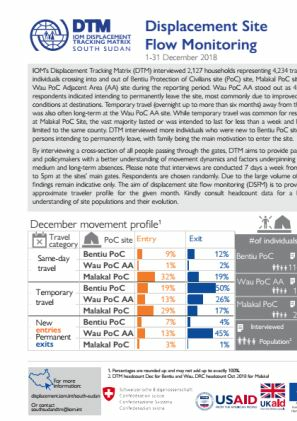 Wau PoC AA stood out as 45% of respondents indicated intending to permanently leave the site, most commonly due to improved living conditions at destinations. 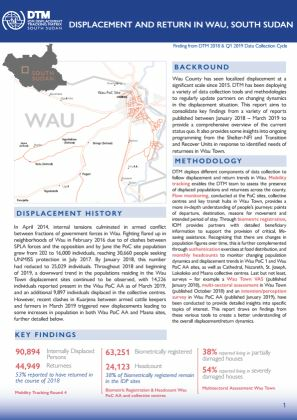 Temporary travel (overnight up to more than six months) away from the site was also often long-term at the Wau PoC AA site. 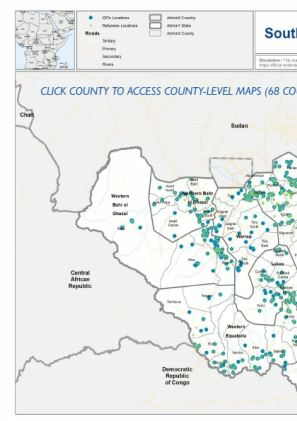 While temporary travel was common for residents at Malakal PoC Site, the vast majority lasted or was intended to last for less than a week and largely limited to the same county. 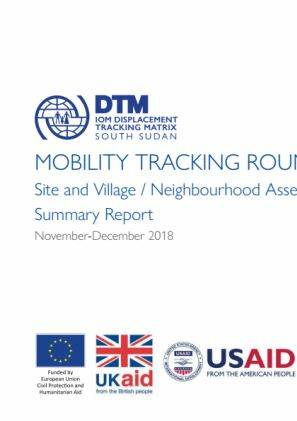 DTM interviewed more individuals who were new to Bentiu PoC site than persons intending to permanently leave, with family being the main motivation to enter the site.